4oz. (125ml.) 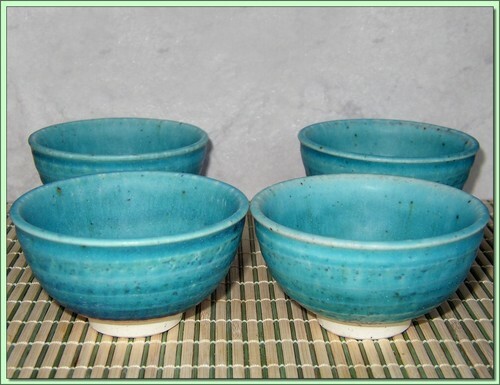 Beautiful 4 tea cup set of Japanese blue glaze ceramic cups with raised bands around the body.